Thank goodness: the Denny Way bus lane is finally here. There’s more to do. Mayor Durkan also stalling improvements to the First Hill Streetcar. Capitol Hill is better than ever. Photographic evidence at least some Waterfront Shuttle trips are well-used. SBB’s bikeshare guide is up-to-date now. This David Gutman article ($) is a little quick to accept Mayor Durkan’s attempt to blame every problem in Move Seattle on the previous administration. Potential conflicts of interest abound in the contract to evaluate SDOT and the CCC. WSDOT veteran is the latest interim SDOT director ($). She seems to be strong on project management, which would be nice. SDOT promises its employees that it will do better. Construction workers on strike, projects frozen. Things have taken a turn the worse lately, but we have a lot to be grateful for, as only a Portlander can point out. Your kid’s ORCA card may be in the mail. Little buildings coming to Capitol Hill, big ones to First Hill. That’s backwards. Most you probably understand the bus route numbering system, but here’s a primer ($). 2,000 hours on a bus is an education of its own ($). Throwing this out to the horde, who do you want (that the mayor would realistically consider) to be SDOT head? I think you have to look outside Seattle. It is possible someone in town knows what they are doing, and raised concerns over the years but were shot down and didn’t have the guts to be a whistle blower. But it is more than likely that they sat by and did nothing while the agency continued to be a mess. Someone from outside seems warranted. Any riders of the 8 have a report on how the new bus lane at Denny and Stewart is working out? Glad to see this finally happen, years overdue. And to think that, back in the day, Metro didn’t even want to run the 8 at all – they thought that since it didn’t go downtown, nobody would ride it. Even today, the Denny corridor still doesn’t have 15 minute service on Sundays. I imagine in the long-term, the determining factor to its efficacy (and all of our other bus lanes) is how motivated SPD is in actually doing their jobs. Maybe now that they’re close to having a contract again they’ll be more interested in law enforcement. Seems to be shaving a good 2 minutes off each bus, thats judging from keeping an eye on a bunch on OneBusAway while at the 24 Hour Fitness at Stewart/Denny before I hop one home to Capitol Hill. Yeah, wow, that is a huge improvement. Call it that or not, The Seattle Transit Blog is as close to a lobbying body as Transit In Seattle will ever get. At least that’s got the guts to call itself that. So start act like it. If she doesn’t want to talk to STB- which likely is not alone in the treatment you’re receiving- make it clear to the new Mayor the feeling isn’t mutual. And you know she’s busy. And then every morning at 8, or whatever time City Hall opens, , send somebody to Mayor Durkan’s office with a request to meet with her and nobody else. With a smart-phone to send proceedings contagiously viral, real-time, ’til you get your meeting From time to time, take along Mike Lindblom. Also, since it’s always time for Intergovernmental (or is it infra…) communication, invite Kshama Sawant along. Also that noted transit expert and activist, Rob Johnson. While you’ve got that phone pointed at him. Because while it’s too bad that noted writer Sue Grafton died last year, STB can honor her by solving Seattle’s greatest mystery in History. Should be a “Z” somewhere lying around for the title. And that “Night Stalker” episode where the mad Civil War doctor comes out of the Seattle Underground once a century to drink some beautiful girl’s blood…meant as a compliment, not a threat!-happens right at the future First and Yesler car-stop! Bet Mike Lindblom jumps at the chance to play the poor little reporter whose editor never believes in the monster he just found. Come on, Times. Not his fault Finnish streetcars aren’t from Breda! Meh, I often asked STB in open threads to interview Ron Kubly about what the city was thinking for ST3, which never happened (they did interview him as he was heading out the door, way after ST3 passed but nothing about the ST3 route or thinking) and either they did not bother to ask or he told them no. Maybe that’s because RON Kubly never led SDOT. It’s the Move Seattle oversight committee, not the mayor, who’s blaming the prior administration for the levy’s problems. 1) SDOT failed to estimate how much it would cost to operate the streetcar, despite repeated calls and emails from Metro officials (the ones that would actually operate it). 2) SDOT fails to make sure they can buy the proper buses for the most important bus route ever proposed for the city. 3) An independent survey shows widespread sexism and cronyism. 4) The Move Seattle Levy woefully underfunded the promised transit improvements. 5) The Move Seattle oversight committee concluded the problem lied with the mayor and the head of SDOT and that both parties made things worse by hiding the shortfall. Now you want to criticize a reporter for simply reporting the news? Seriously — Mr. Gutman just reported the facts (as did Crosscut). If you want opinion, then I’ll offer it. It should be obvious to anyone that SDOT had serious problems, likely caused by the widespread sexism and cronyism. Of course they go together. Anyone who has ever worked in a male dominated field (like engineering) knows that when things so south — and you have lack of communication, hidden agendas and favoritism — it is usually because you have a good-old-boys club. Not to say a bunch of women aren’t capable of the same thing, but I’ve never seen it. I don’t mean to be sexist, but generally speaking, dudes are just more prone to that sort of thing. Meanwhile, the new mayor seems to be doing the right thing. The old SDOT chief is gone, as is the guy responsible for the streetcar fiasco. She has formed a committee to look for a new head of the department. If she gets someone half as good as the new police chief, we should consider ourselves lucky. Whoever she gets will have their work cut out for them — obviously the department needs a lot of work. Island Transit would be one counter example, a woman executive and finance director managed to screw up pretty badly. But I hear what you mean–a dysfunctional culture usually has more than one dysfunction. Not to say you’re wrong, Ross, but question: How wrong am I to say that the last few years’ increase in the price of housing, resulting from a massive influx of population, and resulting in the equal displacement of long-time residence make all the costs above a lot harder to estimate than average? Way I see it, thirty years’ worth of land-use planning got blown all over the Greater Puget Sound area in about three years. Probably most destructive to transit, freeways slowed to parking speed as people who used to live in Seattle but now just still work there, have to make every trip to the office into a trans-county commute. And, in addition to the State Legislature’s years-long generosity, didn’t a very unhelpful Federal surprise happen at the polls about a year and a half ago? So here’s my suggestion. Let’s get together for coffee downtown, and then visit City Hall to submit our applications. I don’t think the hiring line is going to be past the desk, let alone around the block for any of these positions. Reason Seattle’s in this trouble is that by definition, nobody with any predictive powers is still in the same in the same hemisphere. So very much doubt we’ll have a lot of competition. But also seriously doubt our job performance will get us very high marks in tomorrow’s Seattle Transit Blog. So in recognition of your fearless fury at our miscreant predecessors…I’ll take the blame for everything. I’d suggest that there is a cultural shift needed at SDOT and perhaps in some other agencies. Our region has a “us” versus “them” polarity when it comes to transit. Opponents hate every transit project. Supporters are expected to love every project to counter this. Whenever a supporter suggests that things aren’t a great investment, others doubt their love for transit at a subliminal level. Another problem is a failing decision-making process. The typical Seattle process — only one or two alternatives gauged by complaints and organized public meeting turnouts coupled with backroom stakeholder meetings — has always been flawed and has had many failures and reversals. The recent rapid growth of newcomers from elsewhere take a look at things in bewilderment and frustration. Perhaps the biggest problem is that SDOT should primarily be a maintenance agency, and a day-to-day focused leader should lead SDOT. Faded striping for pedestrians, bicycles or vehicles? Missing signage? Malfunctioning signals (including all the new ones for pedestrians)? SDOT really should not be leading things like transit vehicle procurement (and need to leave that to seasoned expert agencies like Metro or ST) and do the fundamentals well first. Finally, I’d suggest that our region needs to start planning and funding for transit with a defined multi-agency process from a third-party coordinating agency. Here, each agency is put in charge of something and that carries inherent bias. All the funding programs put in front of voters don’t have adequate multi-agency oversight and review, and are instead presented in the “us” versus “them” polarity. Move Seattle is just a textbook example of how we do things badly — populist-driven but light on strategic development and critical review. Getting one thing straight, I’m expressing no disrespect for Mayor Durkan. 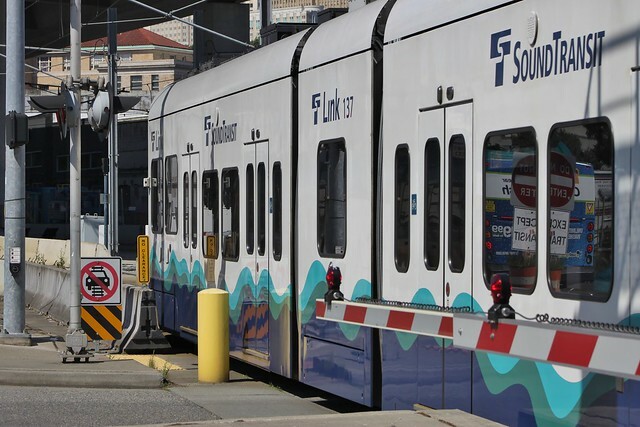 But since I think that right now its public transit’s health will also determine Seattle’s, for her own good she needs to show our piece of urban machinery, and its operators at all levels, some plain manners. Starting with a single sentence explanation, in person, as to why, unless I’ve missed a lot, in addition to telling her constituents nothing they can use, she hasn’t asked anything from them either. Hope this is just one Night Stalker too many. But believable script reads that first five minutes at work, she finds out that CCC budget won’t cover all those single-ride passes to Angle Lake. Don’t think Walla Walla is in ORCA. STB: “Does this mean you’ll make the ST Board get LINK to Tacoma in ST-3?” So quit speculatively whining and keep after her like your laptop is a 1935 Underwood and smoking at work still mandatory. Seattle’s original name was “In a little while it’ll be New York City.” In First Nations culture….You have to live up to your name. How many are there, then? I’d have guessed there are a few hundred routes, assuming that not all the route numbers are currently being used; didn’t know there was a system to the first digit, and I’ve never seen a bus numbered 600 or higher. Anyway, I once counted that I’ve used about around 80 different routes in the Seattle area. I’d guess there are around 200 if you count all the agencies that overlap the SoundTransit district. There are over 100 Metro routes and each of the other agencies operates dozens of routes. I was qualified on just over 200 routes, with only a few missing (those affected by the 2004 north end restructuring), when I drove for KCM. Since then I expect the number has dropped a little bit through restructures. I take it Mars is referring to Metro routes. I’d guess there are around 250. We should also exclude special services like school routes. As far as I know the only numbers Metro has foresworn from using are 510-599, which are reserved for Sound Transit, and maybe 400-499 because Metro historically ran the Snohomish expresses, and 359 in memorial for a slain driver. I’m still wondering what will get the remaining single-digit number 6, last seen as the Aurora local. If you exclude the custom and school services there aren’t that many mainline routes. I count 160 mainline routes operated by Metro itself, together with eight community shuttles and 15 DART routes that are all operated by private operators and intended for the general public. Metro has informally used the 6 number to describe a couple of routes (all having nothing to do with Aurora) in restructure plans, but it hasn’t stuck so far. The Seattle Times article for the Denny bus lane has a photo that shows a private, non-Metro bus in the bus lane (I suspect a Google employee bus – I’ve seen similar buses serving the Fremont offices). Aside from the hilarity that the Times couldn’t even be bothered to wait for an actual 8 to go by, are private buses even allowed in marked bus lanes? I’m pretty sure they’re not allowed in the SR-520 bus lanes, though those are managed by WSDOT. All the signs say are Bus Only and thats a bus so it seems to work. I think anywhere where there is some sort of complex station or busway arrangement I recall they will spell it out as Metro Buses only (i.e. entering the DSTT or those true deluxe freeway stations), which might actually be more Metro as in “municipal transit” than specifically KC Metro. I do know cars dont qualify as buses, but judging by all the violators you see, you would think a large number of Seattle drivers failed pre-school phonics or are just Ahole BMW drivers. That’s probably true, I just hate the fact that we’re building infrastructure at public expense and political capital that’s being exploited by mega-corporations to provide luxury services that are only available to their highest-paid employees. I think a decision as to whether a “bus lane” allows private company shuttles should depend on what impact they would have on transit bus operations, which can very on a case by case basis. here is a bus lane in Issaquah, where if an occasional Microsoft or Facebook shuttle decided to use it, would have negligible impact on transit. But, the bus lane for eastbound Denny does not fall into that category, and the reason is the near-side bus stop at Stewart. Just one vehicle of any sort waiting for the red light prevents the #8 bus behind it from opening its doors until the light turns green and traffic in front moves out of the way. This means it’s quite likely that right as the #8 bus is done loading passenger and ready to start moving again, the light turns yellow. Just like that, a *single* Facebook shuttle using the Denny bus lane has delayed 50+ people on the #8 by an entire light cycle, which, during rush hour, could be as much as 2-3 minutes. Skylar, I have to disagree. I welcome private buses to use it, we need the bus lanes to get maximum use (it’s unpopular to see empty bus lanes while cars choking on their own congestion in the lanes adjacent). A bus is a bus and a single vehicle carrying 50 people is exactly what should get priority even if it’s private. Do we really want them to all drive solo and throw another 50 cars on the road at that same time and location? I have to say I don’t get this thinking prevailent in Seattle that anything public can’t benefit any private interests especially a business. Nevermind if this business is doing something benefitting everyone. It’s why SDOT just killed bikesharing again. ponco, I would rather have those people on public transit, or *at the very minimum* open their employee shuttles up to *all employees*, not just the highest-paid ones. My partner has worked as a contractor at Google and Microsoft, where the full-time employees are given tax-free first-class treatment (including shuttle access) while the contractors are left to fight over the scraps. And like asdf said, Denny is already very congested, and this bus lane was hard-fought so should go to the public rather than mega-corporations. The bus lane should be a public benefit, not a private one. It’s contributing to non-SOV mode share. The biggest issue for me is the number of people per vehicle. If a 12-seat van is at least 2/3 full at some point during its trip on average, then I’d call it definitely a public benefit. They’re serving routes that Metro is unable to serve, like Greenwood to Redmond, 15th Ave NE to Redmond, or Rainier Valley to Redmond, which are too low in Metro’s overall priorities and performance metrics for it to serve. But it makes a big difference to riders in terms of whether it’s a 20-minute direct trip or a 1 1/2 hour trip transferring at the Montlake freeway station. Metro can’t offer one-seat rides to everybody, but at the same time it’s a reasonable request for “public”/group transportation in these corridors. If companies offer only private transportation to their employees and not contractors, it’s only a partial solution but at least it’s a step in the right direction, and we can figure out later how to improve on it. There’s nothing stopping people from petitioning companies to contribute to a multi-company shared or open-access service. The UW/Harborview shuttles are free to whoever wants to travel between the stops. That’s one model. Other models can be found. Of course, passengers wouldn’t be able to work on NDA-secret work, but there must be thousands of people who would ride it in spite of that. Denny is an extreme case of very little spare ROW. Most streets, highways, and stopping locations don’t need as many restrictions as Denny. How American killed Transit (Citylab.) A history of transit’s rise and decline in the US.